Ready for anything? You will be in our exclusive FR parka, combining durable flame-resistance with the warmth and comfort of an insulated lining. 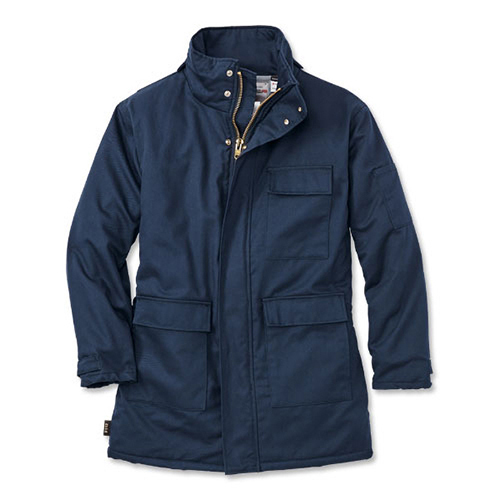 Plenty of storage: chest pocket with concealed snap closure, two large bottom patch pockets with side hand-warmer pockets, interior chest pocket, plus an inside patch pocket.